It seems people get caught up in the hype about making resolutions, only to fall short before the end of February. Not this year. Well, at least not for me. My New Year’s Resolution is to have Goals and, better yet, quarterly goals – not unobtainable resolutions. This means I have set four major goals, giving myself a much better chance to crush them. First Quarter Goal – Focus. Focus on training. Focus on creating a better me. Just focus. Sunday, January 6, 2019, was my official beginning. Again, I’ve had many over these past years. It’s a powerful relationship between love and hate; excitement and disappointment; accomplishment and failure. If I had a Facebook account, my relationship status would infinitely remain, “IT’S COMPLICATED”. 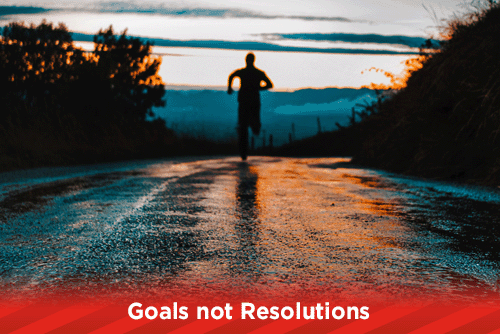 New year, new goals – not resolutions. I’ve been running for the better part of 12 years. I am an average, non-serious recreational runner. For the most part, I have enjoyed this pastime. Some years better than others. However, these last few years, injuries, real-life responsibilities, and laziness drained me of the joy and excitement of running. Each time I came back from the setback, it took a little more from me than the previous time, losing my edge…my focus. This is real. This is difficult. And I am not alone. I have found others suffer from the same struggles, too. Theirs may not be on the same level as mine or may be completely different, but everyone struggles. As I move forward to overcome my lack of focus anxiety, I invite you to join me in my new Focus Journey as I train for a few races. The first milestone is the McAngus MCG 15k Long Run, Columbia, SC, on February 2, 2019. You can check it out here http://www.mgclongrun.com/ (there is a 5k walk/run too). My second bigger milestone is the Foot Levelers Blue Ridge Half Marathon, Roanoke, VA on April 13, 2019. You can check this race out here https://www.blueridgemarathon.com/ (there is also a 10k, marathon and Double marathon…yikes). ​​I hope to see you.